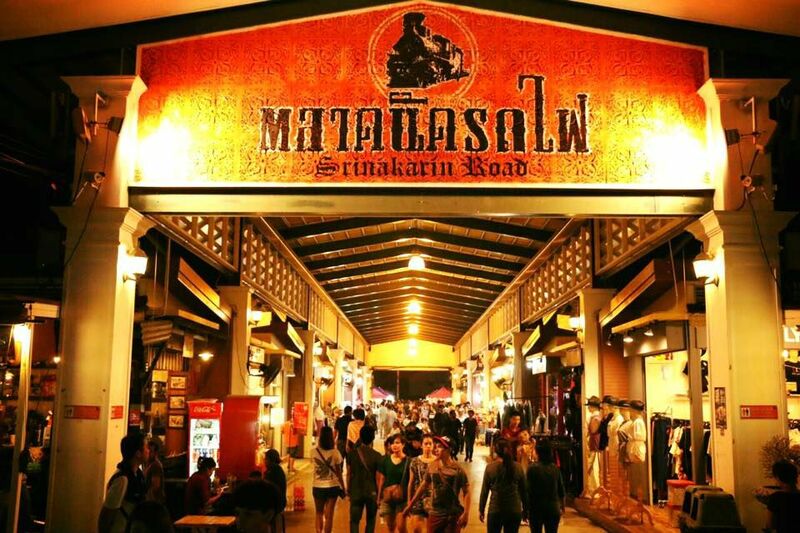 Ta Lad Rod Fi is the place where you can experience the atmosphere of Thailand's shopping street during 1970s till now. You'll enjoy shopping, tasting local trendy dishes, observing vintage items, and watching street shows. Visit Ganesha shrine, Lord of success in Hindu myth, located at the entrance to the market. You can pay respect and make a wish to be successful in your life. Walk through Plaza zone and stop by at restaurant you prefer. There are wide variety of food you can choose; seafood, huge-bowl noodle, all kinds of Yum (Spicy salad), and so on. *you can try them all in shared dishes. After being fuelled with energy, let's visit the vintage car museum located in the inner zone of the market. There will be so many vintage shops around there too. It's now time to shop throughout the market! Please DO NOT hesitate to buy any products because they are extremely cheap! End of the trip. I can call a taxi to pick you up, or drop you off at nearby BTS Station (before midnight). Even though there are several night markets in Bangkok, but this is the only place you can see vintage shops, products, and car museum. Visitors are not as crowded as other places. So you can spend your time taking a look and shopping as you please. - This is out door market, may have hot weather. - Pocket Money for food, transportation and shopping!